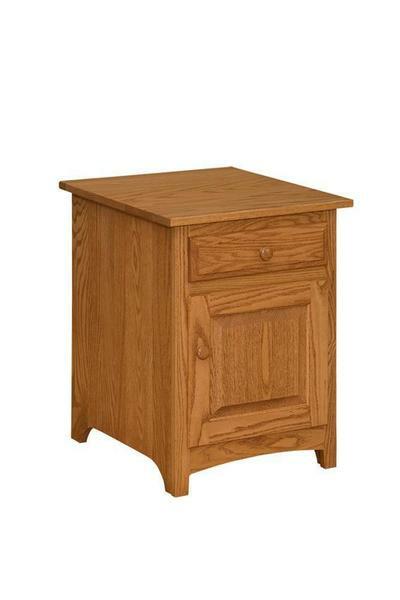 Available in three wood types and a variety of finishes, including paints and stains, our Amish Shaker End Table Cabinet is well suited for any home with its simple design. Features include a drawer under the top, and wood door that ends near the base. The base includes slightly arched design to add a little bit of interest to the piece. This end table is a no-fuss piece for the living room, family room, office, or bedroom with just the right amount of storage.